Many seem to have a problem with bakudou or stuns. 1st Suggestion: Add a Passive or Stat dedicated to Bakudou Resistance. 2nd Suggestion: Instead of making every bakudou thats going be added STUN, they should have different effects like SILENCE(target cannot use skills), DEBUFF(self explanatory) and etc. 3rd Suggestion: Soifon Technique: Vigilant Flashstep , A skill that when activated will allow the user to, When attacked, Flashstep to a random place on the map. and avoid the damage altogether. Of course with a fair delay, and the fact that it is random and not behind the target should balance it out. I get it sounds like Utesemi but maybe instead of waiting to get hit, turn invis and send a speed clone out to be a decoy. theirs different ways this can be done. 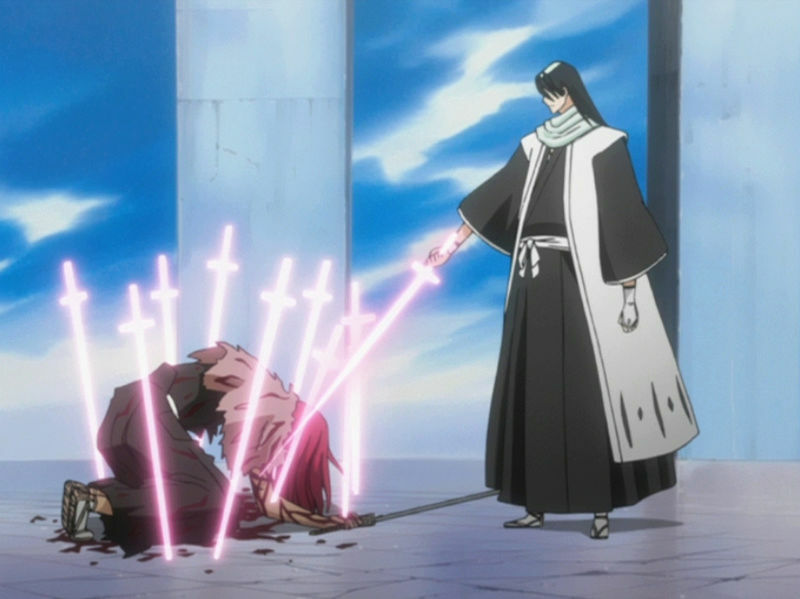 4th Suggestion: Byakuya: Shikai/Bankai should be able to form swords from condensing his petals. Different from senkei as hes just using his zanpaktou, this condensed blade of petals should be very strong and when used should make all the petals surrounding the user disappear. Rei based damage of course. Suggestion 4.5: Byakuya is pretty weak right now. And that is okay, let the shikai/bankai be weak but in exchange that zan should have a large arsenal of abilities to maximize versatility. It should be the most versatile zan in the game. He should even be able to use the (condensed petal blade i mentioned earlier) to bind the opponent. 1st> i think the passive went mastered reduce a max of 15% or 10% less the time of bind, i like bind system, it is good, and it suit Bleach style games, and it suit this games fight mechanicals too. 2nd> 1 silence show be good, like i say, i like the bind system. 3rd> not have see anyone with her, so nothing too say. 4th> i throw he use it only in bankai in the show, its a good suggestion. 4.5> good suggestion too. in the picture it look like he is in bankai, so only in bankai. like the 4th.